This post features video documentation of ‘Ball Run Factory’ – a children’s marble machine activity created by myself and Roma Patel as part of the 2016 Wheee! International Children’s Theatre and Dance Festival at the Lakeside Arts Centre in Nottingham, UK. After seeing the amazing marble machines and ball runs of The Tinkering Studio at the Exploratorium, Roma and I decided to have a shot at making our own. ‘Ball Run Factory’ was made up of two parts. The first was an area for babies and toddlers featuring pipes, tubing and plastic balls. The second was a large space where children aged 3+ could use recycled materials such as plumbing pipes, tubes and charity store objects to design tracks for marbles to go down. In this video Roma and I discuss key ideas underpinning the project. This includes the impressive work of the Tinkering Studio, Simon Nicholson’s ‘theory of loose parts’ and the need to situate children as co-producers of culture. The video also features documentation of children’s impressive problem solving while making their creations. 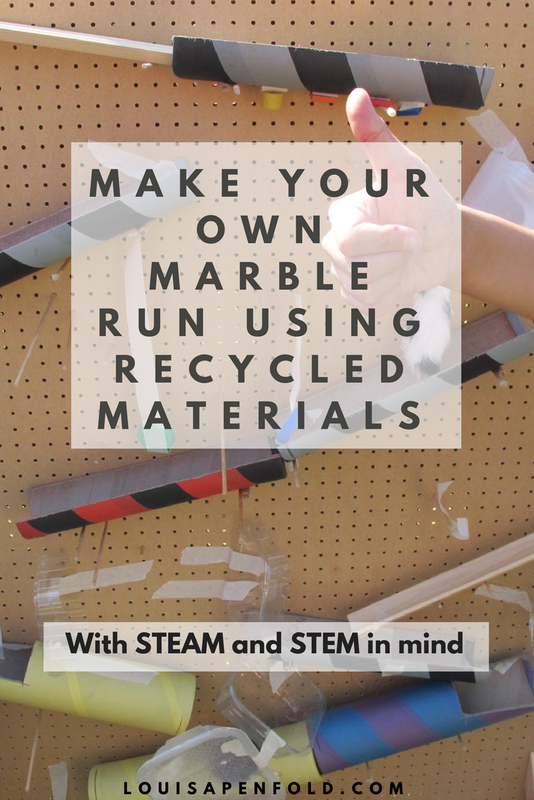 Make your own marble machine or ball run! ‘Marble Runs’ have been created and explored by many artists, scientists and engineers. Below are some links to help get you started making your own!